Rust is a valuable ingredient in many pyrotechnic recipes, mainly thermite, but it can also be added to other mixtures as an oxidizer. In any case it might be useful to have a jar on hand, if you can’t think of anything more interesting to do with it; you can always paint with it. First, you need DC current. 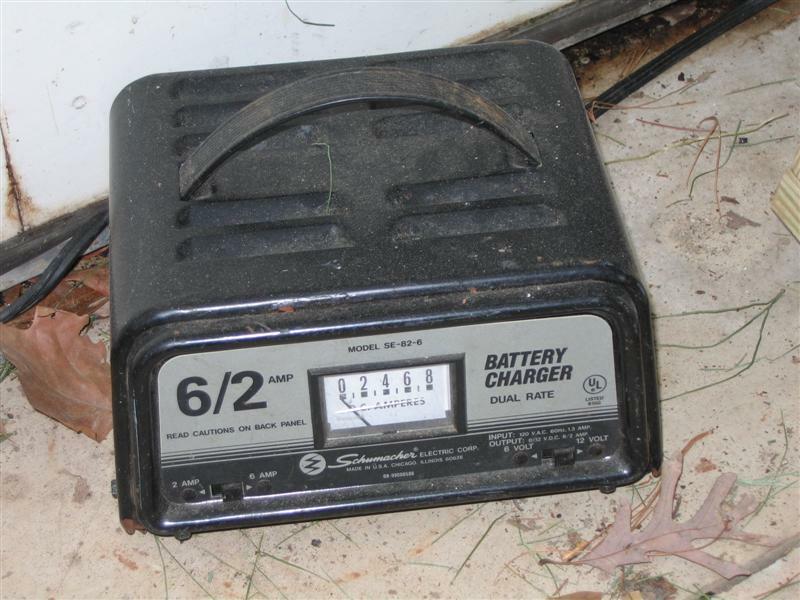 You can get this from car battery chargers, toy car chargers, batteries, or you can buy one. The higher the amps, the faster the process will work, but be careful, you don’t want that current going through you. Next you need some iron or steel. This is easy enough to come by, but the local dump is an especially good source of stock metal. 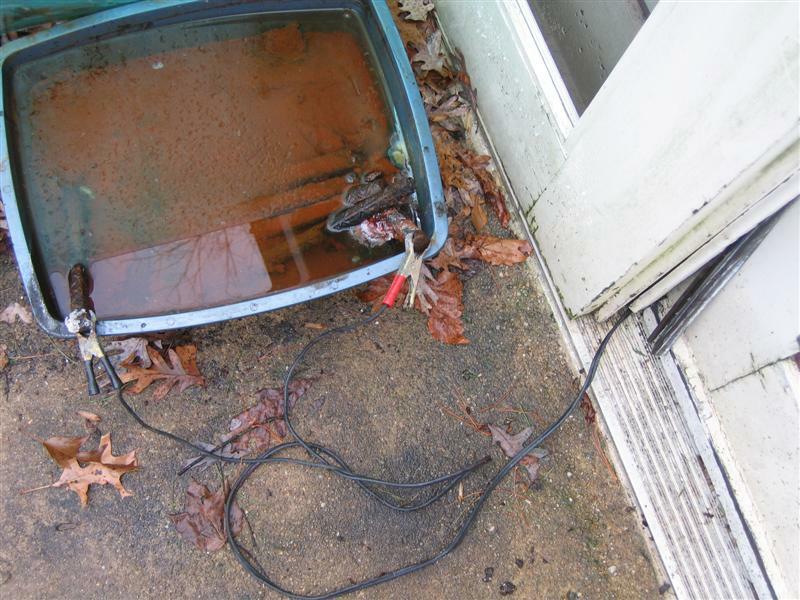 The final supplies are salt water a tub and a location outside with an outlet. Put the pieces of iron on opposite sides of the tube and make sure that they’re not touching. The iron will only rust on one side, so it is advisable to put most of it on that side. Add water as high as you can and still leave some metal exposed (if the leads are underwater then they’ll rust just as fast as the iron). Add a couple tablespoons of salt to the water and stir it in (more salt will work better, but it will also contaminate your rust more). Put the negative lead on the side with less metal. If you’re not sure which lead is negative, turn on the electricity. The negative lead should bubble more. Leave it running in a well ventilated area because it gives off chlorine gas. The longer you leave it running the more rust you will get, be patient. If the temperature is higher then it will rust faster, but heating it is too impractical for most people. When you are done, pour off excess liquid. This will get rid of some of the di ssolved salt; to further purify: add water, let settle, and repeat. After this, heat it gently until dry. Use a mortar and pestle or a bowl and spoon to grind up you’re newly made iron oxide. It shouldn’t be very difficult, rust is quite soft. Put the iron oxide through a sieve to pull out the larger chunks of un-oxidized iron that flaked off. Once you are finished you can store it in a cool dry place-I prefer cleaned out tomato sauce jars. Congratulate yourself on a job well done, you just became more self-reliant. What you are essentially doing is electrolysis-using electricity to break the covalent bonds of the H2O into Hydrogen and Oxygen. If you wish, you can collect the resulting gasses. Hydrogen will form at the negative lead and oxygen at the positive. Hydrogen will be the lead that bubbles more since there are twice as many hydrogen atoms in a molecule of H2O. Since you used sodium chloride (salt) as an electrolyte the oxygen will be contaminated with chlorine, but the hydrogen will be pure. If you don’t have the patience to wait for iron to rust, than there are alternative methods. This doesn’t have a high yield, but it’s faster than buying your own if you have some steel wool around. Just pass a flame over your steel wool and you will have a black powder. This will work just as well, although you will have to burn a lot in order to get enough. 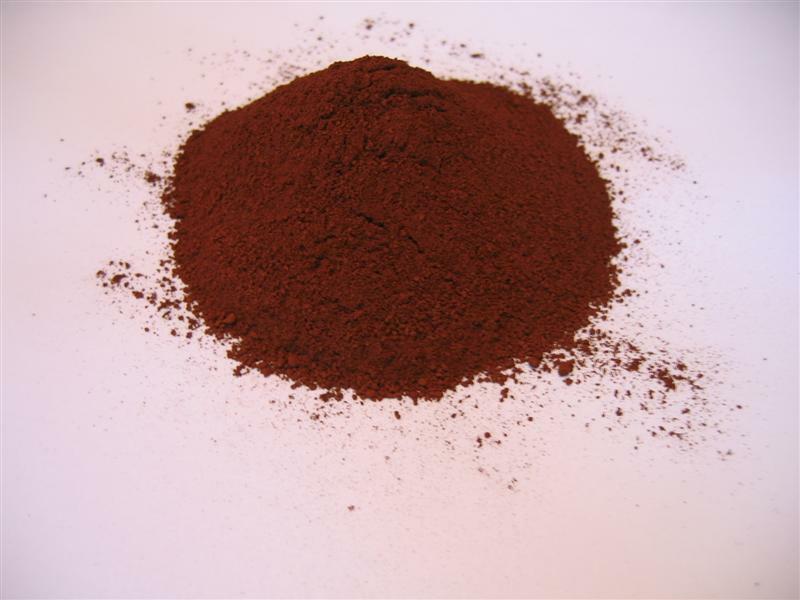 You can also buy iron oxide at e-Bay orskylighter.